In December 2007, Kohala (Charles Michael Brotman, Charlie Recaido, and Rupert Tripp, Jr.) gave two intimate performances at the rRed Elephant in Honolulu, Hawaii. The show was emceed by Derrick Malama, the host of Hawaii Public Radio’s “Morning Edition”. Adelle Tripp (band member Rupert ‘s wife), danced hula for a few songs and her husband accompanied her with vocals. 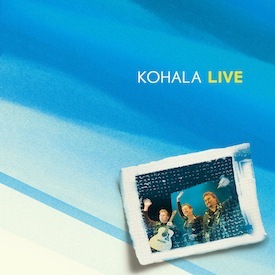 Kohala Live is the culmination of recordings selected from these two shows. Produced by Charles Michael Brotman at Lava Tracks Recording Studio.